It’s easier to make sense of Rwanda if you erase the human element of the Genocide that happened here fifteen years ago. If we could just pretend it wasn’t actual people who perpetrated the one million unthinkable acts, it would simplify the dynamics of the country. Afterall, if we acknowledge that it was not only people but fellow Rwandese who held the machetes, we need to also see that they still exist—and not in an abstract way but in a day-to-day, walking down the street, drinking milk for breakfast, and sending children to school kind of way. Many perpetrators of the 1994 Genocide, or genocidaires, are in prisons throughout the country. It is likely that many others are not. Either way, those who committed the Genocide still live amongst those who survived. Prisoners do manual labor all over the country, working on plots of land, building brick walls along roads, and doing various other public works projects in plain sight. Their blue, orange, and pink uniforms (each prisoner is in one color which signifies the gravity of their crimes or status in prison) dot roads and farms throughout the country as they serve their time while the rest of the country looks on. They pass through lives as they stand packed in the backs of trucks and taken between their projects and their cells. It is a testament to the discipline and ingenuity of President Kagame that he has those who ripped the country apart now manually putting it back together. As he drives to develop his country, he is making use of those who, through violence, instilled the urgent need. I have told some people back home about this, about the uniforms, about the prisoners, about their constant presence and my inability to grasp even a fraction of what it must be like to be a survivor and see them every day, because I’m here fifteen years later and as an outsider and even I shudder at the sight. Those back home are always shocked. “You mean you see them!” Well, yes. This is recent history—very much within the memories of those still living. One of the most complex issues this country faces is how to go on, develop, heal, when the painful past remains present. After a horrific divisiveness, how is everyone supposed to come together again? A month after that I discovered that “away that day” was a euphemism for “serving time in prison for perpetrating the 1994 Tutsi Genocide.” This time, the husband who had been away was now back so we were going to go see him for a Journal update interview. I generally don’t get anxiety before meeting with microfinance clients. In my experience, there is little to be anxious about, minus some possible awkward moments or silent staring at one another if the translator leaves the room. This time, I began to panic. I knew that if I saw him as a microfinance client, he would have to be human. Previously, I saw genocidaires at enough of a distance that I wasn’t forced to remember their humanity or look them in the eye. I’m not proud to admit: I preferred it that way. This would complicate what I had been trying to simplify. A question that comes up repeatedly here is how so many “normal” people, non-violent people, certainly not killers, could have been moved to pick up weapons and kill their neighbors. It makes no sense. I knew that meeting one of these complicated individuals whose motivation I would never understand would confuse the idea in my head even more. I spent the car ride to his remote home trying to imagine what he would be like and bracing myself to be professional despite biases. My preparation was cut short as, along a dirt road, the staff told the driver to stop the car and exclaimed, “This is our client!” He was pushing a bike with a load attached to the back, headed towards town. It had just begun to rain so we ushered him into the car, squeezing four across in the back seat of our pick-up truck. My immediate reaction was that he had such a kind face. I noticed his warm smile and friendly greetings to the staff. Then he shook my hand and it was just like so many greetings I’ve exchanged here before. I tried to eliminate (or at least delay) my judgment so that I could focus on the Journal interview. It was brief since I had previously met with his wife and learned about his enterprises. After a few laughs and a few more questions, we were shaking hands again and he was back in the rain, pushing his bike. It was a jarring interview for how totally routine it was. It forced me to wonder how many other genocidaires I’d spoken to, worked with, passed on the street without even realizing it. He was not a man you would pin as a killer. He was free because he had confessed his crimes, his confession was accepted as true by the gacaca court (a court system that has been established to process trials for accused genocidaires on a local level), and he had completed the assigned community service. Now he was back at home with his family, dressed in civilian clothing, and working in his businesses. This client was the closest I’ve come to the reality that ultimately all genocidaires will be free. He put a face to the abstract impossibility that this country is facing as it frees prisoners from overcrowded prisons and reintroduces them to society. Just down the road from his house is a church in which thousands took refuge as the Genocide began. More than 10,000 people were killed in and around the church between April 10th and April 16th 1994. It’s an eerie juxtaposition. I have no neat conclusion for this blog entry. I’ve been trying to come up with one for 3 weeks. Instead, I keep adding paragraphs that turn into ramblings but in no way neatly tie up my thoughts. Now, during a week commemorating the fifteenth anniversary of the 1994 Tutsi Genocide I’ve decided that if I wait for a proper conclusion, it will be many many years before I post this. So I’ll end it here, no conclusion, no answers, no neat sum-up and no lesson learned. I end it with more questions than I started with. 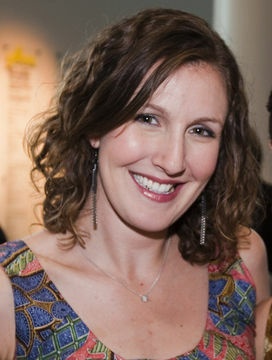 Julie Ross is currently a Kiva Fellow at Vision Finance Company in Rwanda. In December she finished her first placement at BRAC Tanzania. If you’d like to support Rwandese entrepreneurs and help the country on their push towards development, please see their currently fundraising loans or join the lending team. Julie focuses on developing the primary technology that Kiva's field partners use to interface with Kiva, whether it be to manage their Kiva finances, post new borrower profiles, or maintain their relationship with Kiva. She is thrilled to support the work of Kiva's partners by using her field experience and partner knowledge to create easy-to-use, streamlined, and beautiful tools. Prior to working on the Product Management team, Julie was the Kiva Fellows Program Manager following time spent first as a Kiva Fellow, then as a Coordinator for the program. She served as a Kiva Fellow in 2008-2009 with Kiva's field partners in Tanzania and Rwanda. Prior to joining Kiva, Julie worked on Capitol Hill. She graduated from Tufts University in Medford, MA with a degree in English Literature.